UNIVERSE CENTER LLC has been actively cooperating with EBA (European Business Association) since the foundation of the company. 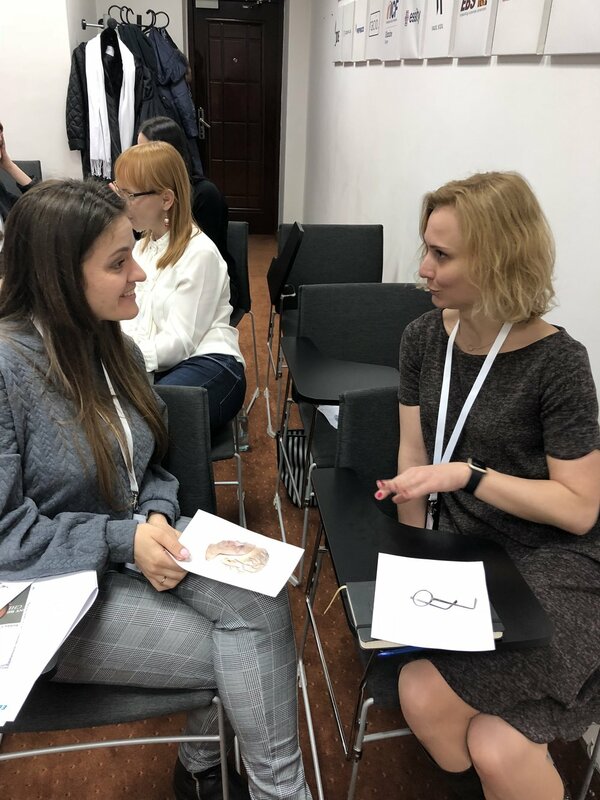 Together with EBA we have launched many innovative projects on the professional language development: «Business English Development Programme», «Development Programme on English Skills for Marketing and PR» and «Business English for Pre-Intermediate Development Programme». The course is designed for Intermediate and above English learners, who are interested in relevant to Marketing and PR topics and need to communicate both confidently and effectively in English. This intensive special course will help you prepare to work internationally. There is a particular emphasis on the relevant vocabulary and speaking skills needed to work efficiently in English. You will have a chance to improve your English, get more confidence in speaking and share your experience with your groupmates. It’s an intensive English course of ten 90-minute classes covering 9 topics with many useful practical situations where students will have a lot of business like role plays. Having successfully finished the Course, you will receive a certificate of completion from European Business Association. We are waiting for you every Thursday from 18:30 to 20:00, from the 15 of February till the 26 of April in the office of EBA which is located in: Kyiv, 1-А Andriivskyi Uzviz str. The course is designed for Intermediate and above English learners, who are interested in relevant to Marketing and PR topics and need to communicate both confidently and effectively in English. This intensive special course will help you prepare to work internationally. There is particular emphasis on the relevant vocabulary and speaking skills needed to work efficiently in English. You will have a chance to improve your English, get more confidence in speaking and share your experience with your groupmates. It’s an intensive course of ten 90-minute classes covering 9 topics with many useful practical situations where students will have a lot of business like role plays. We are waiting for you every Wednesday from 18:30 to 20:00, from the 14 of March till the 30 of May in the office of EBA which is located in: Kyiv, 1-А Andriivskyi Uzviz str. 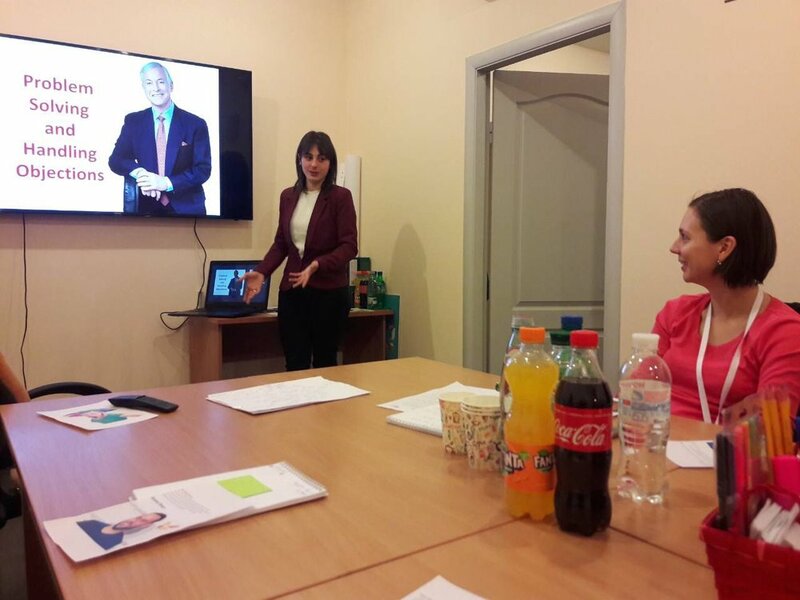 The program is aimed at people with Pre-Intermediate level of English to help them acquire special communication skills, so that they feel more comfortable in everyday business situations, such as negotiations, meetings, telephoning, writing letters and e-mails, presenting themselves, their companies, products/services to their business partners, clients or colleagues abroad. 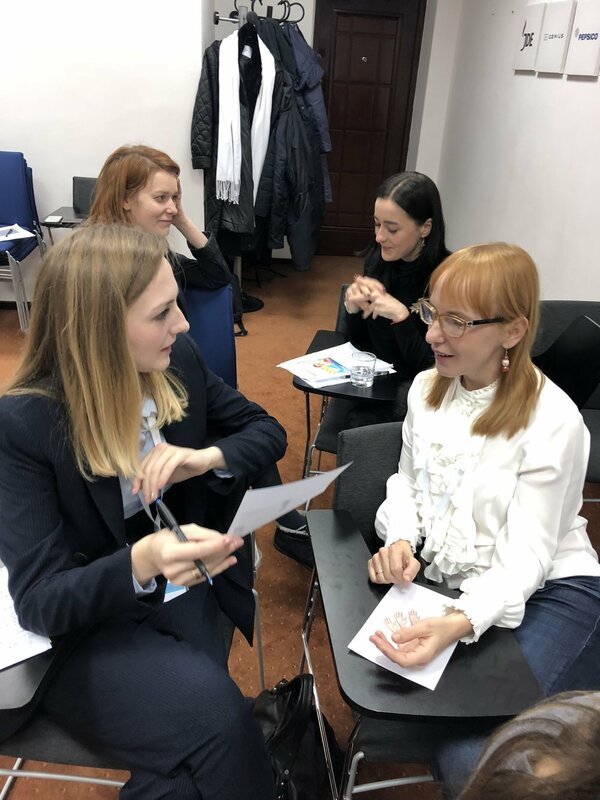 It’s an intensive course of twelve 90-minute classes covering 8 topics with many useful practical situations where students will have a lot of business like role plays. We are waiting for you every Tuesday and Thursday from 18:30 to 20:00, from the 20 of March till the 26 of April in the office of EBA which is located in: Kyiv, 1-А Andriivskyi Uzviz str.